Name: Bartending Tips with Tony! Love fancy cocktails but are too intimidated to make them at home? 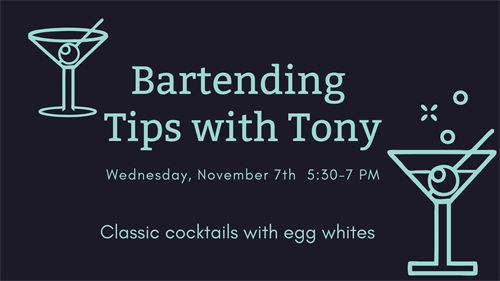 Bartender and chef extraordinaire Tony will be in the library, teaching you how to make some impressive drinks for your next party!